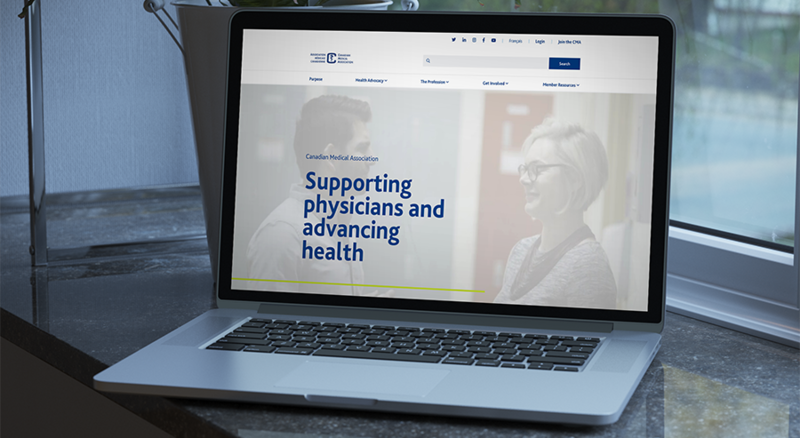 After successfully launching websites for the Canadian Medical Association's (CMA) annual Health Summit and International Conference on Physician Health (ICPH) conferences in 2018, Industrial's next main focus for CMA was to re-envision their corporate web presence in the form of a complete design overhaul of their corporate website, cma.ca. We decided on Drupal as the new site's platform to leverage its flexibility, performance, and ease of management for content creators. 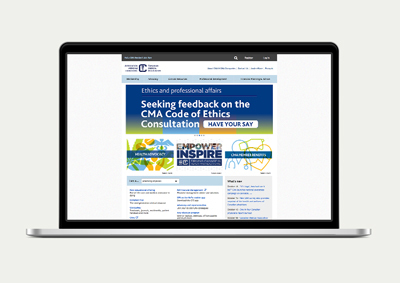 The revised CMA homepage features an optional banner video, and showcases the modern, refreshing new design. A key goal was to appear modern and incorporate modern web practices while remaining sophisticated and on-brand. 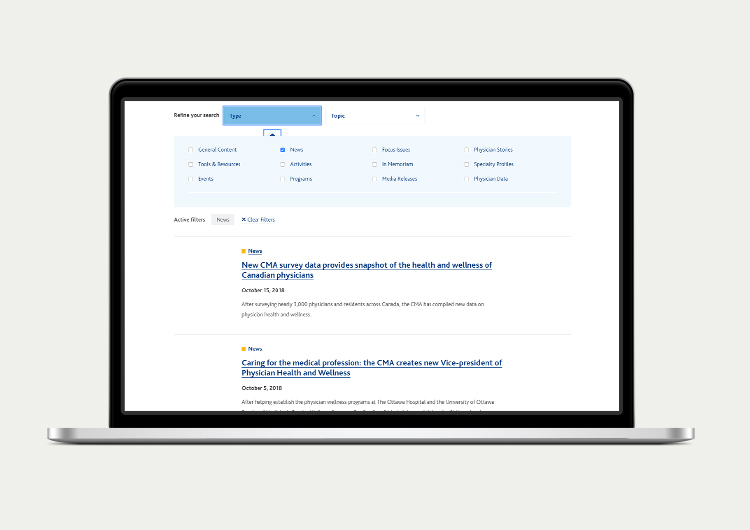 Health Topics pages are key areas of both the legacy and new site. Moving away from the text-heavy approach of the original, the new site incorporates quick facts, a dynamic timeline, and easy access to topic specific Tools & Resources. We implemented a fast, powerful new search engine, and introduced filtering and sorting options to further refine results based on content type or topic. 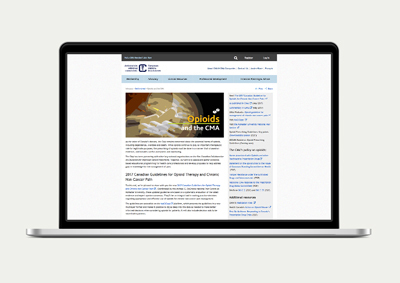 With the help and dedication of CMA's staff, subject-matter experts, and technical and design partners, Industrial was able to develop a new website that not only incorporated modern web standards and a fresh, enticing design, but also remained sophisticated, professional, and lived up to CMA's brand and legacy.